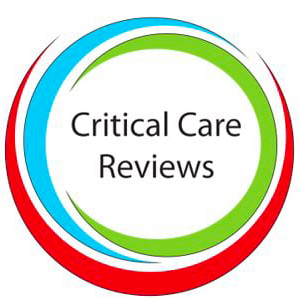 Click here to read more, courtesy of critical care. We know that hypothermia leads to poor outcomes, perhaps not in cardiac arrest situations where neuroprotection is the key, granted and perhaps a few other exceptional circumstances. There is evidence that it leads to worse outcome in sepsis which is interesting. There have been many reports regarding cooling right down to 35-36degrees in order to improve outcome, but in those who are HYPERthermic to begin with. Click here for a link to our article in the JICS about intervention in hyperthermic patients on ICU. In this study, they wanted to see if they could see what the body’s immune system is getting up to during hypothermia and whether it is all down to excessive anti-inflammatory response. They measured various biomarkers of inflammation in order to see if those that have been relatively ignored here are to blame. They also tried to look at risk factors for hypothermia and whether certain patient subtypes are more prone. Hypothermia was identified in 186 /525, so 35% of consecutive sepsis admissions! Seems a lot! Their study demonstrated that hypothermia was independently associated with mortality. Interestingly however, there was no difference in the levels of proinflammatory and anti-inflammatory cytokines between norm groups and hypo groups.When they stimulated 15 of the hypothermic patients with lipopolysaccharide, they found no alteration in immune response. Hypothermia, when you are septic, leads to a poorer outcome and higher mortality than being normothermic but it’s not down to the immune response being ‘damped down’. One of the main risk factors involves CVS factors, so perhaps this is all down to endovascular dysfunction. We should perform the same trial, but look at Fraktalkine specifically and in a larger patient subset.